A visit to any one of the local markets; like the night market, will provide shoppers with a wide range of souvenirs and traditional crafts to take home. But for high-quality locally produced items, Artisans d’ Angkor is the place to shop. Artisans d’ Angkor is a network of self-sustaining stores and facilities that are committed to providing fair trade, locally produced Cambodian art. The Chantiers-Ecoles facility, located in the heart of Siem Reap, offers free informative daily tours in multiple languages. Visitors can watch local artisans handcraft many fine products such as silk paintings, wood and stone carvings and metal plated art, then after the tour, purchase a number of these items from the gift shop. How to Make an Elephant!! The artists specialize in intricately designed wood and stone carvings, silver-plated objects, silk painting, scarves, and hand lacquered art. Intricate stone carvings similar to those found at the Angkor Wat temples are wonderful souvenirs to take or ship home. 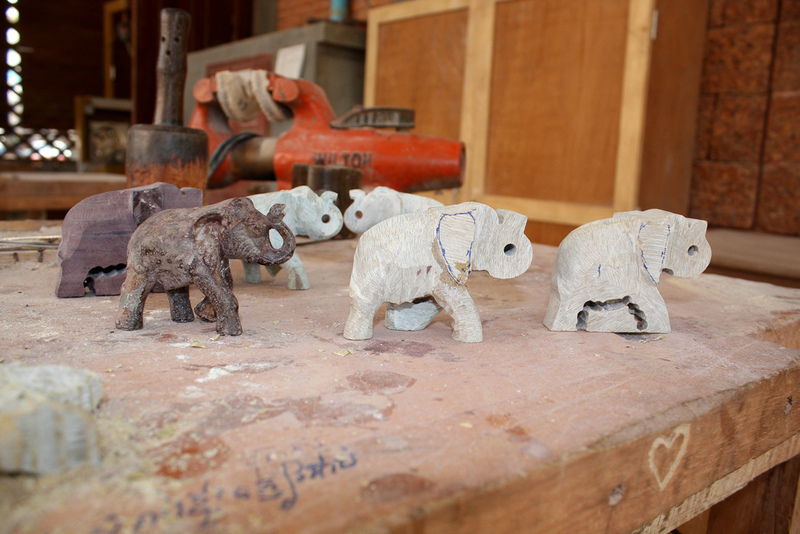 The traditional art of stone carving in Cambodia is a skill that pre-dates the Angkor Wat era. Using the same techniques and materials as their ancestors, these skilled artisans produce high quality sandstone sculptures and statues depicting ancient deities and kings. Artisans d’ Angkor also specializes in hand-crafted scarves and shawls made from 100% locally produced fine silk. These beautiful scarves and shawls come in a variety of hand-dyed natural colors and can be purchased at any one of their shops. Many other items such as luxury hand-woven and hand-dyed pillow cases, hand bags and wallets are also available. For those interested in the production of silk and silk crafts, there is an opportunity to visit the Angkor Silk Farm. The ancient art of silk weaving is a highly skilled process that requires much time and practice. During a tour of the silk farm, visitors can learn about the production of local silk products from start to finish. Watch how silk is collected from the cocoon of the Mulberry Silkworm and then made into silk products using the traditional techniques of silk weaving and hand dying. Although bargaining at the local markets is a common practice for shoppers, not only in Cambodia but around the world, it is not appropriate to do so at Artisans d’ Angkor. This is not a typical souvenir shop; this facility serves a cultural as well as an economic purpose. Artisans d’ Angkor offers a business model that promotes sustainability and fair trade for the artists they employ. 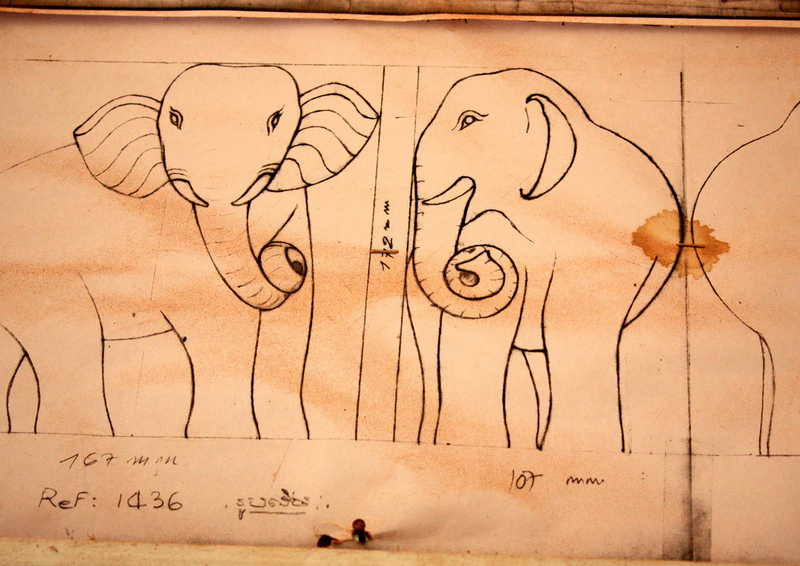 On a cultural level, they are preserving and promoting the traditional heritage of the Khmer empire. Reviving the traditional skills and crafts that were lost during years of political instability are a critical piece to a more unified Cambodia. On a larger scale they are providing economic support to Cambodia’s lagging job market by creating new jobs. Artisans d’ Angkor is actually a network of ten workshops that trains and employs nearly 1000 emerging Cambodian artists. They recruit about 60 new apprentices per year providing not only a job, but a sustainable career. These organized workshops provide young people with a skilled trade and educational opportunity that would not be otherwise present in Cambodia. Although there has been a recent boom in Cambodian’s tourist industry, it remains one of the poorest countries in South East Asia. Years of war and political turmoil have caused a deeply entrenched economic and cultural instability that has been hard for the country to overcome. The government lacks the necessary resources to provide adequate jobs, education, medical care and other basic necessities to their own people. Shopping at Artisans d’ Angkor is one small way shoppers can use their tourist dollars for a good cause. This partnership provides shoppers with high-quality, locally produced products and the artist is guaranteed a fair wage for their labor while growing a sustainable career. This entry was posted in asia, travel and tagged artists, cambodia, fair trade. Bookmark the permalink.